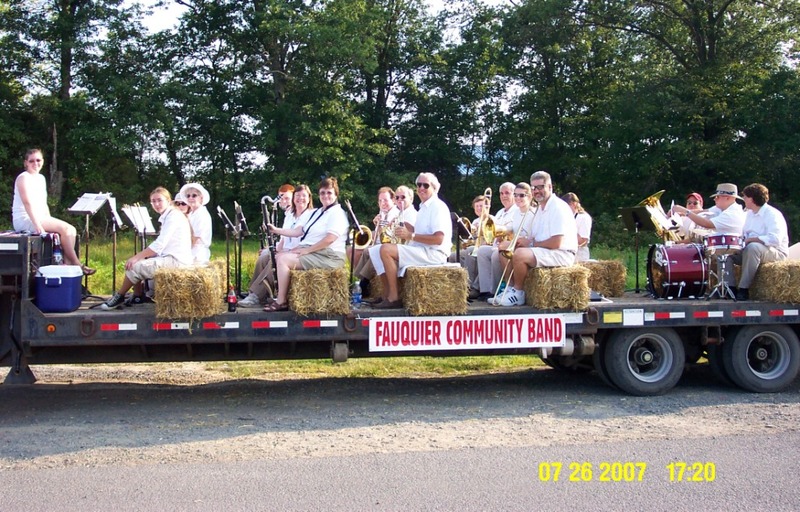 The earliest information we have about the Fauquier Community Band is from an article in the Fredericksburg Freelance Star, December 11, 1986, which announces the annual Christmas concert. 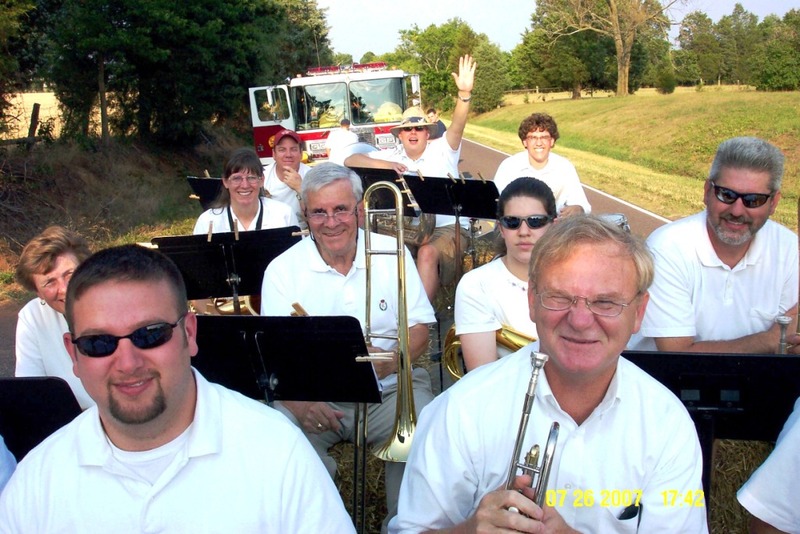 At that time the band was conducted by Mr. Richard Griffith, who has been a band director in Fauquier County Public Schools for many years. 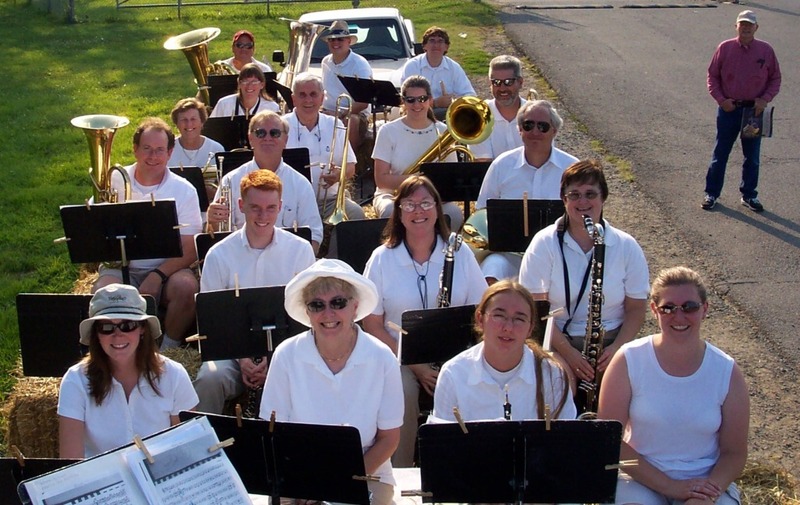 In the 1990s the band was conducted by Herb Edwards, and from 2002 to 2006 by Andrew Paul. The current conductor is Paul Hicks, and assistant conductor is Katie Bryant. 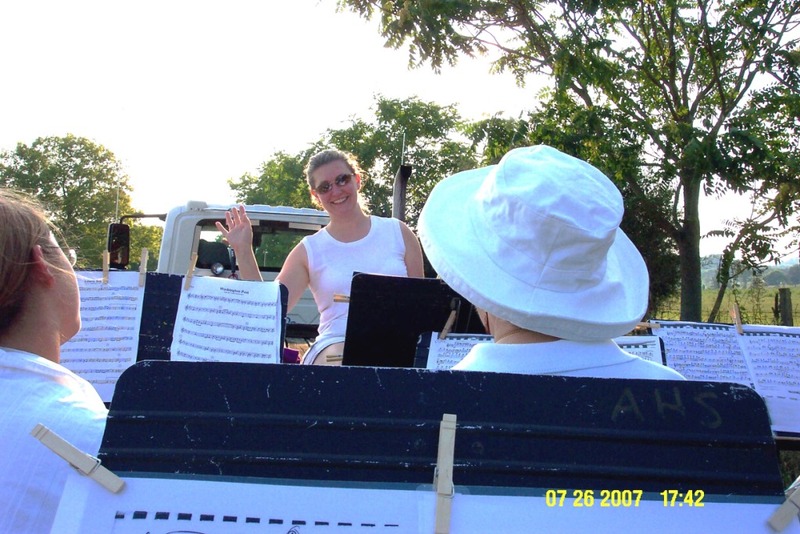 Photo from Mitzi Price, not in the band until 5 years later! 1st row, ?, ?, ? Sherman West, ?, ?, ?, ?